The campaign is organized for the second time by Eco-Libris, a green company working to make reading more sustainable. We invite you to join the discussion on "green" books and support books printed in an eco-friendly manner! A full list of participating blogs and links to their reviews is available on Eco-Libris website. This book was produced using ancient-forest friendly papers. 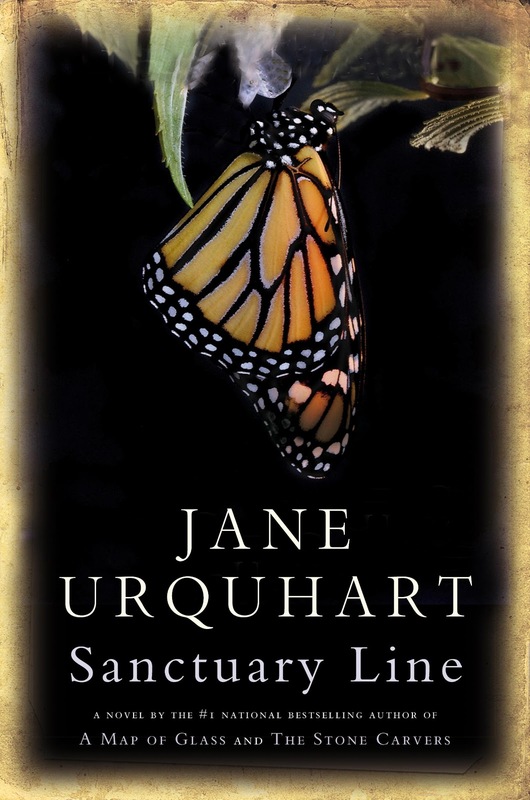 This is the first time I read a book by Jane Urquhart although she is a best-selling Canadian author. I understand now the lure of her books, and by the word lure I mean that there’s an element to her storytelling that begs the reader to savour her story. Liz Crane is an entomologist, a specialist in the study of butterflies, who moves back to the run down farmhouse where she spent all her childhood summers with her cousins. There she studies the migratory patterns and survival techniques of the Monarch butterfly, which I found interesting and which served as a metaphor and symbolism to her reflections on how her family fell apart over twenty years ago when her charismatic and enigmatic Uncle disappeared. She begins to tell us this story and the history of her ancestral family. Initially, I wondered why she included these stories of her ancestors but then I realized they were a part of her Uncle’s story. Liz is also mourning the loss of her cousin Amanda, a military strategist who got killed on tour of duty. Liz is haunted by her family’s secrets and the tragic events of that night her Uncle left and never came back. Urquhart succeeds in creating a complex and charismatic figure in the Uncle. He was by far the most interesting character. Liz’s story of Teo always left me longing for more. So much mystery surrounded him. We get to understand Liz by what she reveals through her thoughts and her childhood stories. The setting of Lake Erie is very important and is a character in itself. There is very little dialogue in this book, as most of the narrative is Liz's memories and thoughts. Although I enjoyed the lores of the ancestors, I would have preferred less details in them and more on the contemporary characters. The second thing that struck me is that towards the end of the book, the reader discovers to whom the narrator, Liz Crane, is addressing her story. And in retrospect the clues were all there but it was still a surprise to me. By the end I wanted to go back and reread the book. I had guessed the family secret but did not expect its repercussions. It helped me to understand the underlying sad and haunting tone of Liz’s narrative, and that she needed to tell the story in order to move on. Sanctuary Line is a book that should be read twice. I have discovered a talented author whose compelling and eloquent voice lured me in unbeknownst to me until I was left with longing even days after I finished reading it. Disclosure: Thanks to McClelland & Stewart for sending me this book for review. I was not compensated in any other way, nor told how to rate or review this product. Wow. This sounds fabulous. Thank you for the review...and keeping it a mystery! Somehow I missed this book on the list that Raz sent us or I would have requested it for sure! (Urquhart is one of my favourite Canadian writers -- mind you, I've now been introduced to another amazing Canadian writer, Kathy Page, so I'm not complaining.) I'm glad to hear you enjoyed Sanctuary Line so much and that the second-person narration worked (I generally hate this device). I'm looking forward to reading this book! This sounds really interesting. I haven't read any of Urquhart's books either, but I certainly will now. My review didn't get up when it was supposed to, I preset it but when I checked it wasn't up. I should have put it up the day before like I was going to do. Oh, well, thanks for the review, it impressed me. Great review. Sounds like an interesting read--I'll have to check it out. It has been a long time since I have read a second person story. This one sounds intriguing. stopping by from another stop on the campaign...this must be fascinating with the second person pov and the first person pov...I love when surprises are revealed. I've read a couple of books by Jane Urquhart and enjoyed them, especially The Underpainter. 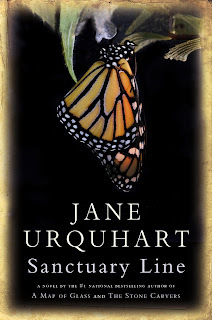 Sanctuary Line sounds very interesting - yet another for my TBR list! Your review was great! I think the second person point of view is very difficult to write and it usually doesn't work for me. Your review has my interest though, so I'd be willing to give this one a try.